I’ll be the first to admit that I’m a beer snob. It’s my drink of choice — by husband’s, too — and we’re as passionate about it as some people are about wine. 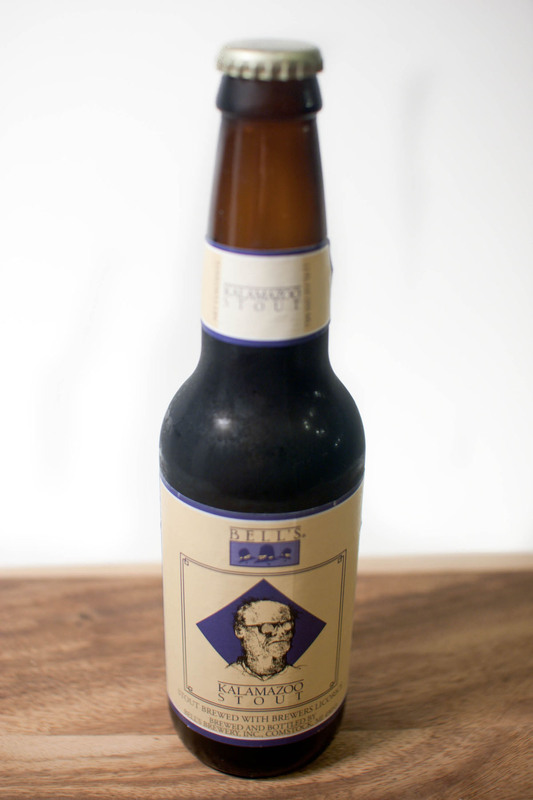 In fact, my husband has recently taken to collecting (and even trading) special edition craft beers. Believe it or not, there’s a larger market for this than you might think. I tend to gravitate towards stouts, and occasionally I’ll get my hands on a bottle for experimental purposes (aka: baking). Since stouts pair perfectly with chocolate (take these brownies for example), they’re fun to play around with when creating dessert recipes. The slight bitterness and coffee flavor of the stout really enhances the depth of the chocolate. As if chocolate weren’t good enough on its own, right? I’ve had this thick, luscious, deeply chocolatey hot fudge sauce recipe in my “must make” file for a while, and I knew that pairing it with some vanilla ice cream and smooth stout would be the perfect adults-only dessert. In a double boiler, slowly melt the chocolate and butter; stirring constantly. Meanwhile, heat the water to boiling in the small, heavy saucepan. 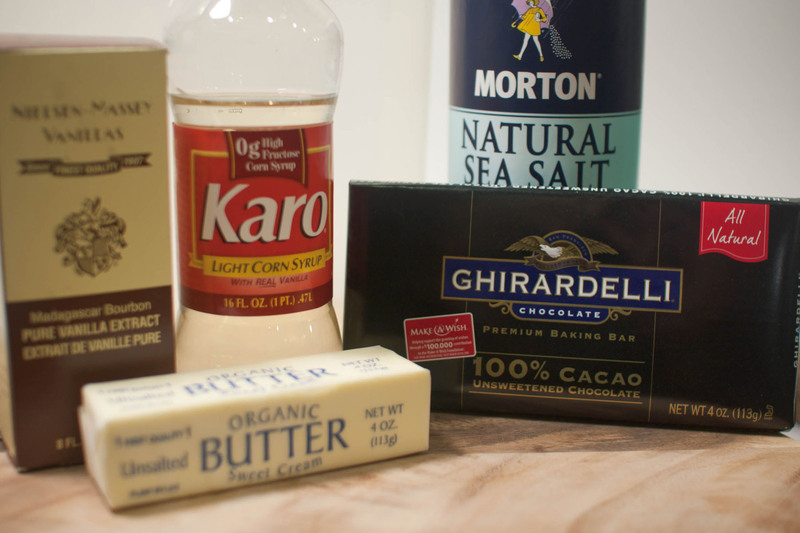 When the butter and chocolate have melted, stir the mixture into the boiling water. Add the sugar, corn syrup and salt and stir until smooth. Turn the heat up and stir until mixture starts to boil. Adjust the heat until the boil is constant and allow sauce to boil for nine minutes, stirring often. Note: Store sauce in an airtight container in the fridge. To reheat, microwave for 15 to 30 seconds. Blend all ingredients (excluding whipped cream) in a blender until thick and frothy. 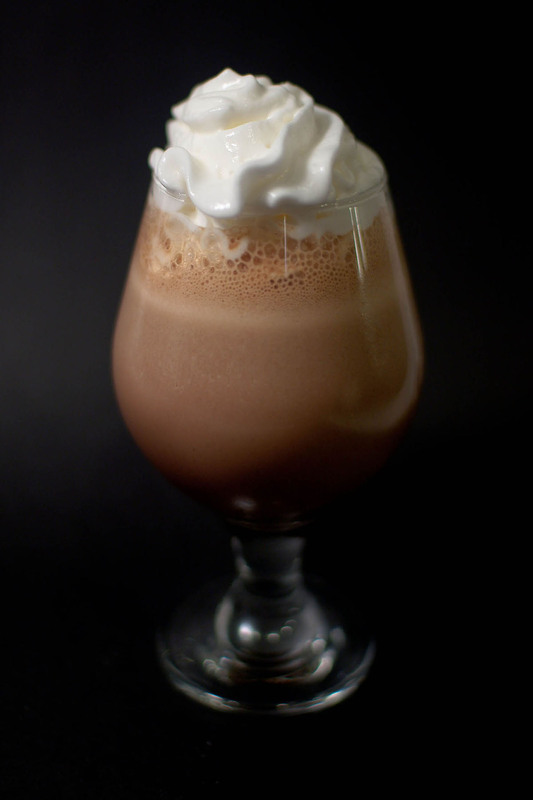 Pour milkshake into glasses and top with whipped cream. Ooh. Around St Pat’s, the Trib ran a recipe for a Guinness float. I think G is kind of watery as far as stouts run, and have been thinking about making those floats with some of the Goose Island Bourbon County I have in the cellar. This seems right up your alley, Andrew! We’ve got some Bourbon County in our wine rack, which has recently become the 22oz beer rack. Haha. Yeah! I need a bomber rack. Wow, this looks so yummy! I’m not a big beer drinker but my husband is (he’s a total beer snob too. He’s even made a few of his own.). I’ve tasted a few more chocolatey stouts that I actually really like. This looks like something we would both enjoy! 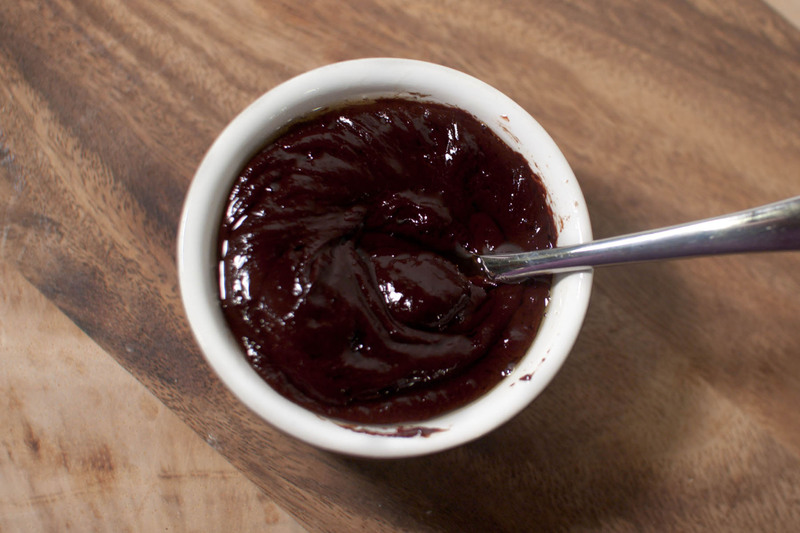 I’ve made that hot fudge sauce before. Throwing water and melted chocolate together seemed counter-intuitive to me at first, but the results were amazing. With a little hazelnut liquor added it is like sexier Nutella. If there is such a thing. I did something similar with Old Dominion Oak Barel Stout, Food Lion brand vanilla ice cream, canned whiped cream, and Hershies syrup. It was delicious and easy.